5 March 2016: Word Counts & the Pressure to Conform into a Box. So …. How long does a novel have to be? Answer: A novel has to be long enough to tell the story it is intended to tell. Each book is the amount of words I needed to tell that part of the story. No more. No less. If my novel is longer, how much more is it going to cost me per book if I do print on demand? My best answer here is, the more pages it is, the less money you make. Find a balance between telling the story that needs to be told and keeping your bottom line in mind. My novel is really long, should I break it into two separate books? In response I’ll ask “How long is your epic masterpiece?” If it’s more than 200,000 words and has a good breaking point about half way through, I’d break it up and beta test the ending of book one with a good group of people. But I’d never break a book in half just because of word count. 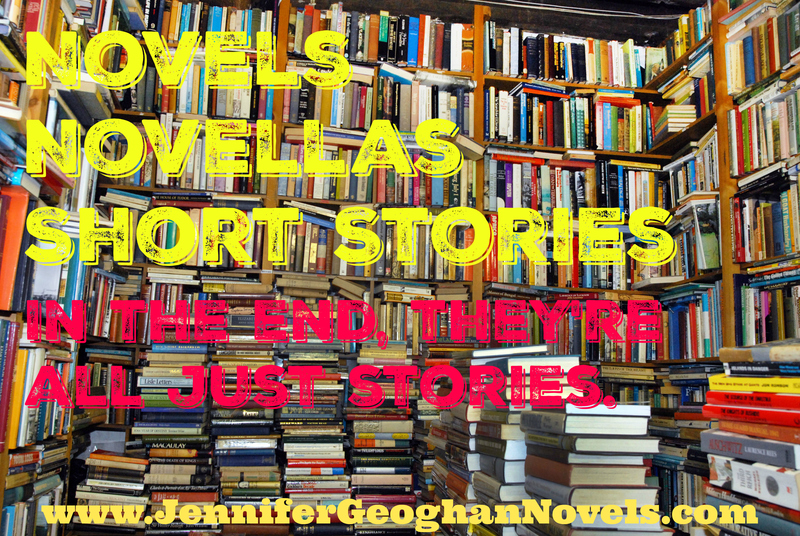 Do I want to write a short story, a novella or a novel? There is no hard and fast rule as to where one of the above ends and another begins. If you’re thinking about submitting your masterpiece in a competition, that competition probably has a word count that will place your work in one of these categories. But don’t get bogged down in labels. I heard a woman at a writing conference complain that the piece she’d entered into a competition didn’t make the word count to be judged as a novel, but instead was categorized as a novella. She was livid that they considered her novel a novella. I don’t have a problem with novellas. I mean what’s a novella except the perfect novel for people with short attention spans! Now that I’m writing my books with an eye on making money, I’m trying to write stories that aren’t quite as long as the ones in The Purity of Blood series. Although I love my novels and feel that they are wonderful books, for the print versions, they’re too long to allow me to make a decent profit. Right now I’m happy if my books are between 80,000 and 100,000 words. With that large a range, I don’t feel pressured to add or subtract from my stories for the sake of something unrelated to their literary merit. What are your thoughts on story length? ← 14 Feb 2016: So you want to write a novel … now what?